With small teams, the output, whether it’s an app, web site or any other product, represents the people behind it and the tremendous amount of effort they expended to make it. And it’s common for those people to willingly put their name on it, taking accountability for what’s great and what needs to be improved. As teams scale up, the division of work on a product is distributed amongst many more people in splintered teams. The sense of each individual having a major impact on the end product is reduced. The product takes on a life of its own, without much acknowledgement of the individuals behind it. Whether the end result is a success or failure, it becomes easy to hide amongst the crowd. But no matter how big it gets, people still tend to care when their name is attached to something. Everyone should be proud of the work they’re doing…enough to put their name on it. 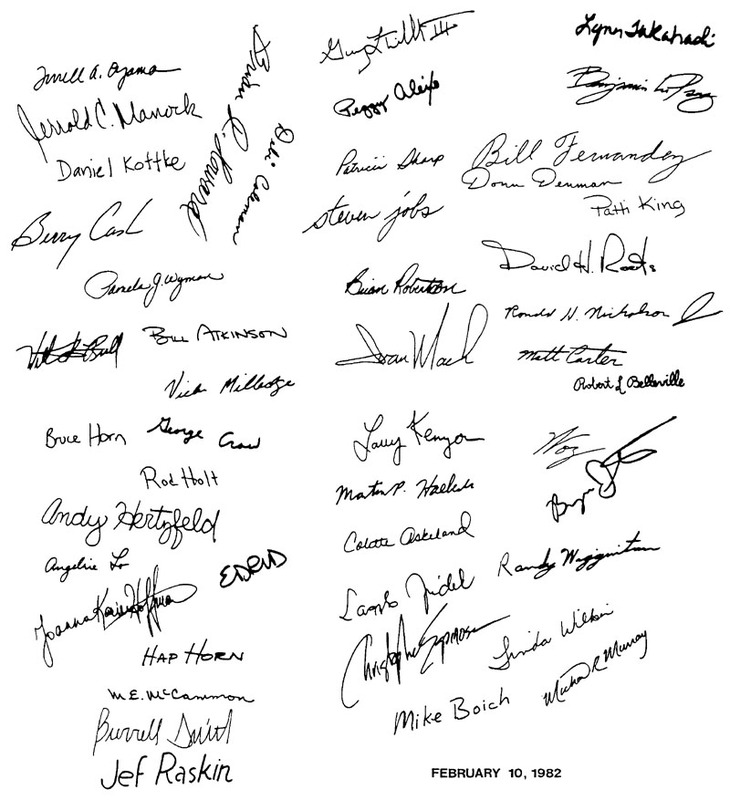 Signatures from the original Macintosh team to be etched into the chassis. The founding Macintosh team had a lot of pride in what they were building. They each had their names etched into the chassis of the Mac to prove it. The build culture of today is commonly summed up as, “move fast, break things, ship often, fix later.” Conversely, thanks to Apple, people now have an expectation of high quality and thoughtful design from the products they choose to use. This cross-roads of build culture and audience expectation can make it challenging to feel proud of what you ship and the story you tell the world as you chase a mythical convergence where it all makes sense. In this regard, it’s likely fortunate that names often aren’t attached. But if you did, you just might ship superior products. A more interesting question may be to ask those building a product, “Who wants to put their name on it?”, and actually put their names on it. You might be surprised by what you decide to ship or re-evaluate based on the response to that question. Almost 3 years ago I posted my first tweet while on a trip to Washington DC. Sitting in a hotel in DC about to look for some delicious Thai food. A somewhat inane first tweet, and I’m happy to say that I did actually find that delicious Thai food. Twitter’s early simple premise of sharing what you’re doing with friends has evolved to become a communication platform with seemingly boundless potential, which is yet to be fully realized. 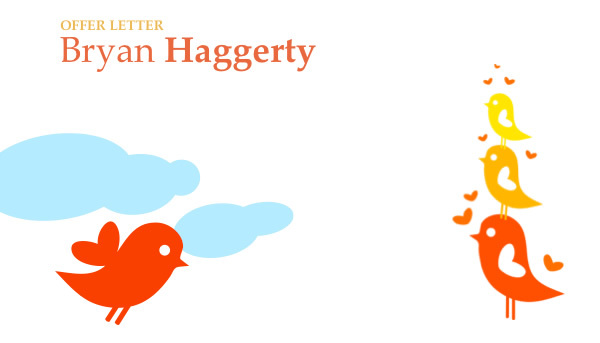 And that is why I’ve decided to join Twitter as part of their mobile team. My time at LinkedIn has been filled with great successes and it was a privilege to work with some amazing people. 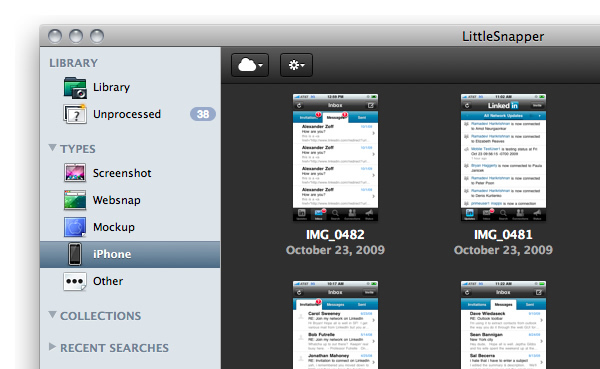 LittleSnapper is another tool I can’t live without. I frequently use it to capture and tag screenshots of my own work and designs from others for inspiration. Screenshot organizer, full web page capture, and non-destructive annotations make it that much superior to Mac OS X’s built-in screenshot feature. The New York Times recently took a look at Netflix user’s movie queues based on zip code. An interesting comparison is to see how this data breaks down between the places I’ve lived, Boston, New York City, and San Francisco. Strong commonalities between the three, but clearly Bostonians are more in it for the comedy and pop films. 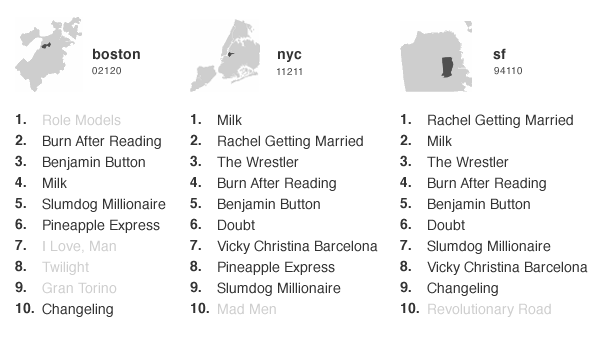 NYC and SF: You really loved “Rachel Getting Married” that much?